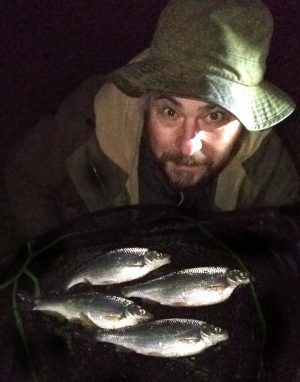 Dace fishing session results in three absolute giants over 1 lb! 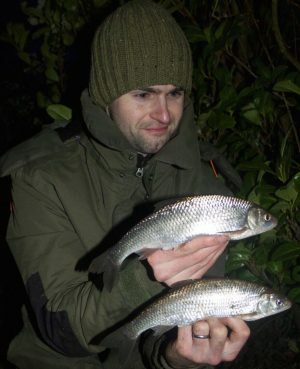 RIVER ace Dr Mark Everard had a dream late-season trip when he took three 1 lb dace in a great haul. Dace fishing at night? It worked for Mark Everard! 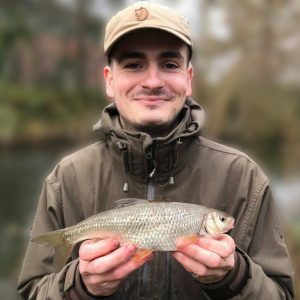 GEORGE SHARP could have come close to the British dace record with this huge 1 lb-plus specimen – but didn’t have any scales with him. George Sharp displays his giant dace. SPESSY ace Vince Cater teamed up with pal Matthew Tann and had a brilliant dace session on his local Hampshire Avon. 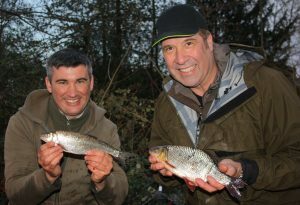 FORMER Arsenal and England football legend David Seaman set two new personal bests in a fantastic river day that saw him land a 1 lb 1 oz dace and 2 lb 1 oz roach in a great mixed haul. 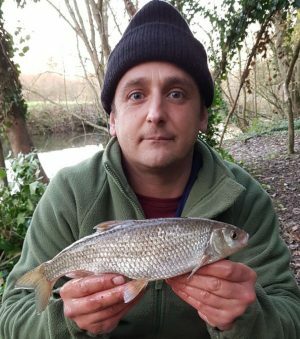 LEE HAYNES tempted the biggest dace of the year with this 1 lb 3 oz giant from a free river stretch – and thinks the venue could do a fish over the long-standing 1 lb 5 oz 2 dr British record.